General functions - Mirror of your smartphone - Bridge to all Bluetooth Smart devices, no matter the manufacturer - Digital ANT+ bike computer. 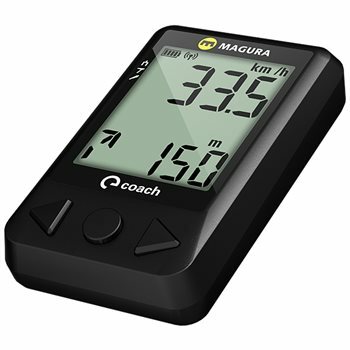 Bike functions - Current speed - Speed higher or lower than average speed - Heart Rate - Cadence - Power output - Distance - Overall time. Additional function during mirror mode - Navigation - Altitude - Lap time. Data transmission - Digital ANT+ radio transmission - Bluetooth 4.0 Smart for mirror and bridge mode.